For the United States, the oceans are important for both their global economic and military security. Public policy in the United States, along with private enterprise, have long been shaped by a keen appreciation of the strategic importance of the seas to the nations economic well-being and global security. Oceans, seas, and waterways connect most of the nations and people of the world, either directly or indirectly. As modern communications and transport bring the worlds population closer together, the oceans become more important as avenues of connectivity than as barriers of separation. 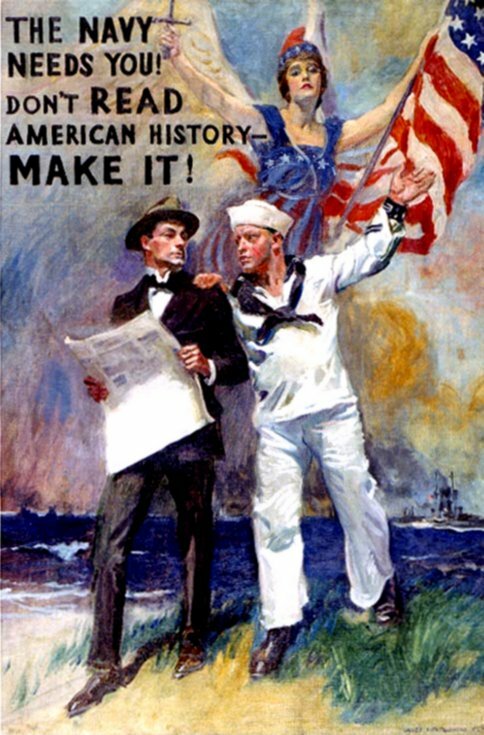 Throughout the nations history, the seagoing members of U.S. armed and auxiliary forces, and a wide variety of civilian maritime participants, have been involved in operations at sea and have assisted in promoting U.S. national security interests. 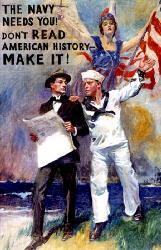 Three US uniformed armed services operate on the worlds oceans: the Navy, the Marine Corps, and the Coast Guard. Each has a different mission and unique capabilities. The Navy forward deploys heavily armed air, surface, and subsurface platforms forward to carry our battles overseas and check adversaries on "blue water." The Marines respond in times of crisis with ship-borne amphibious expeditionary forces to carry the fight forward and ashore from the sea. The Coast Guards national security missions include national defense, maritime safety, maritime law enforcement, and marine environmental protection. In addition, a wide variety of civilian maritime participants, including the ships which are either owned by or under charter to the Military Sealift Command, the U.S. Maritime Administration, and the U.S. Army Corps of Engineers, are involved in operations at sea to promote US national security interests. 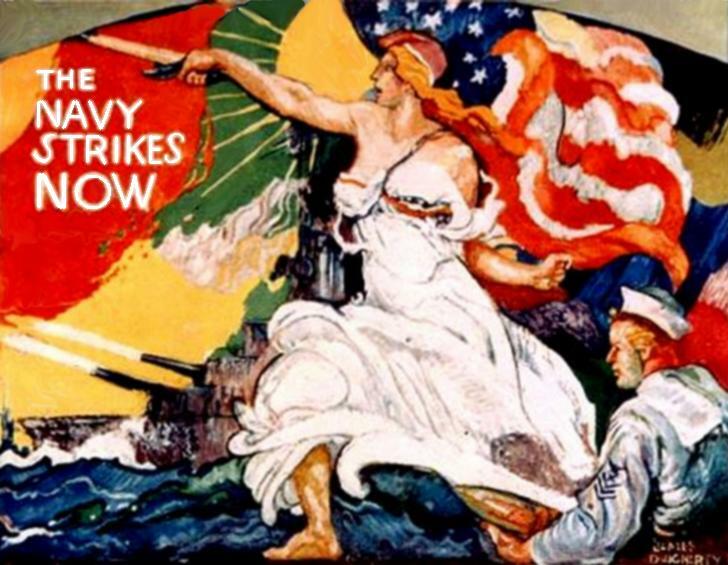 The role of naval power in U.S. military strategy is in transition. With the end of the Cold War, the United States is much less likely to face the prospects of a world war. However, uncertainty remains over when, where, and how future conflicts involving U.S. armed forces will occur. Draw-downs in the size of U.S. forces maintained, and a more diffuse and complex political environment, have put a premium on flexible forces that can quickly move anywhere and remain there for a long time. These forces must function without undue logistic strain to respond to threats to international peace or security. There is also a premium on flexible forces that are capable of multiple missions. Maritime forces have inherent strengths which make them Americas best tool to effectively meet most emergent and changing military situations. Through the use of the worlds oceans by U.S. forces, the advantage of on-scene capabilities for simultaneously executing all three components of the National Military Strategy is possible without infringing on any nations sovereignty. Modern military systems allow the United States to hold potential adversaries at risk at ever greater distances. As technologies shrink the globe, the United States is effectively closer to potential enemies who also have long-distance military capabilities. To counter these capabilities, U.S. forces are prepared to use the oceans to meet potential adversaries on their home ground or on waters far from U.S. coasts. In this very important way, the oceans can buffer North America from conflict overseas. The oceans provide access to littoral states. Military presence on the high seas provides the United States with the capability to project power to areas of international tensions, to help friends and allies, and to preserve international peace and stability. A range of options is thereby available to U.S. foreign policy makers. Military power may be projected symbolically as a diplomatic goodwill gesture or to deter war. Mobility, endurance, lift, and response are the components of global projection of military power over the oceans. Sealift and airlift can transport land forces and materiel across the oceans to most trouble spots worldwide. Naval forces have the unique ability to remain at their stations for months, ensuring continued presence on the oceans wherever trouble may arise. Readiness. One of the strengths of maritime forces lies in their immediate availability to respond to contingencies. By maintaining proficiency in the capabilities necessary to resolve major conflicts, maritime forces can provide a wide range of services in support of peacetime operations. Flexibility. 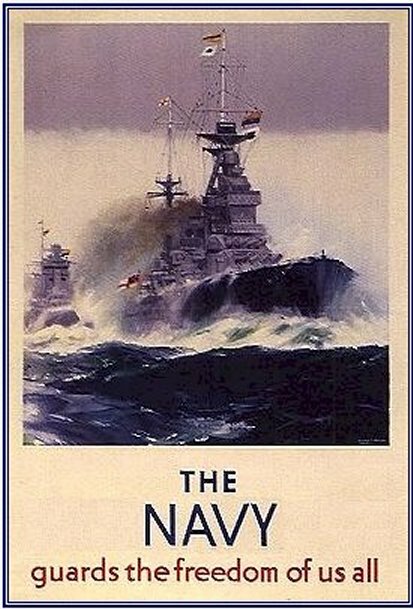 Maritime forces have been employed in the resolution of many international crises since the end of World War II. The inherent flexibility of maritime forces permits political leaders and commanders to shift focus, reconfigure and realign forces quickly to handle a variety of contingencies. Maritime forces provide a wide range of weapons systems, military options, and logistical or administrative skills. Maritime forces can control the seas and provide diplomatic leverage in peace or time of crisis performing tasks ranging from forcible entry and strike operations to non-combatant evacuation operations, disaster relief, and humanitarian assistance. The excellent strategic and tactical Command, Control, and Communications(C3) capabilities of maritime forces provide for a uniquely controllable force that complements diplomatic efforts. Maritime forces offer presence without occupation and deterrence without commitment. They represent a worldwide, balanced and autonomous intervention capability, which may be employed nationally or multinationally. Self-Sustainment. Although the degree of self-sustainment achievable by an allied force will be determined by the nature of the operation and the types of units committed by the participants, maritime forces are capable of operating in forward areas at the end of long supply lines without significant land-based supply structure. With the provision of replenishment-at-sea, on-station replacement of personnel and ships, and the resilience of ships (their ability to sustain damage and continue the mission), maritime operations may be continued indefinitely. Mobility. Maritime forces are much less constrained by political boundaries than air or ground forces. Maritime forces can deploy virtually anywhere in the world and transit the seas in accordance with International Law. With their strategic, operational and tactical mobility, maritime forces have the ability to monitor a situation passively, remain on station for a sustained period, respond to a crisis rapidly and deploy in combat with authority. Mobility enables maritime forces to respond from over the horizon, becoming selectively visible and threatening to adversaries, as needed. If diplomatic, political or economic measures succeed, maritime forces can be quickly withdrawn without further action ashore. Maritime forces can also respond to indications of pending crises by relocating rapidly from one end of the theater to another or from one theater to another, usually independent of fixed logistics. In combat, the ability to position maritime forces quickly provides commanders with a significant tactical and operational advantage. Carrying capacity: Ships can duplicate land bases because of their ability to carry a variety of essential defense functions. Theater missile defense is one example. Although space systems may contribute to the launch detection of hostile missile(s), large, heavy radars based at sea are needed to either detect, in the case of depressed trajectories, or to manage the interception of hostile missile threats. Ships are the obvious platform for such systems since they can carry the detection systems as well as large quantities of interceptors. Because of their carrying capacity, ships are also ideal platforms for almost all heavy logistics evolutions, command and control duties, space tracking, and intelligence operations. Duty cycle and Mobility: The constant presence of a ship gives U.S. military planners a significant advantage. Space sensors generally observe intermittently, and airborne sensors, unless based aboard ship, require large numbers to maintain a presence far from base. Because ships can often perform their missions far from a potential adversarys coastline, they can continuously gather valuable information without threatening or alerting them. Sovereignty: Warships and public vessels engaged in non-commercial service enjoy sovereign immunity. Therefore, questions of landing or access rights do not arise if U.S. ships are operating on the high seas or transiting through littoral areas and through straits. Defense against physical attack and jamming: A ship standing well offshore is much more secure from physical attack than warfare centers ashore, and it has the carrying capacity to serve as the platform of choice for many information collection operations against an actual or potential adversary. Warfare centers ashore may be surrounded by a hostile populace and if attacked from over the horizon, must defend in a more cluttered environment. A moving ship is much harder to target with a missile or truck-bomb than an installation ashore, whose static coordinates can be read from a map or a GPS receiver. The positioning of warfare capabilities offshore provides separation from the land-based jammers, thus limiting their effect. The Navy's transformation themes are Sea Shield, Sea Strike and Sea Basing. The whole concept will be tested under a program called Sea Trial. Other components are Sea Warrior (innovative manning concepts, skill portability) and Sea Enterprise (targeting efficiencies, asset reallocation). CNO Admiral Vern Clark (a surface navy blackshoe) on several occasions has remarked, "Without naval aviation we would be just like any other Navy." Admiral Clark has championed a new strategy known as Sea Power 21 which encompasses the following: Sea Strike, Sea Shield, and Sea Basing, all held together by Force Net. SEA STRIKE: Projecting Precise & Persistent Power. PD reminded the audience that in WWII, the striking power sent multiple hundreds of aircraft per a single designated target; while in Enduring Freedom the striking power was measured in how many targets were hit per a single aircraft on an24/7 basis. (The average was a success rate of 85% per designated target). SEA SHIELD: Projecting Global Defensive Assurance which is protecting itself, i.e. the battle group at sea and ashore as well as its friends and coalition allied forces. SEA BASING: Projecting Joint Operation Independence. That is, maneuverability at will within a large area anywhere in the world's seas or oceans. A new twist is the successful exclusive use of the "Kitty Hawk" who maneuvered off shore as a safe haven to house the many services special forces' night interdiction events. This very successful and unique use of one of the three remaining fossil fueled aircraft carriers has both helped to save tax dollars via joint use of assets and as one more positive means of integrating our nations' (and other nations) armed forces. It may in fact be a dramatic rationale for extending the service life of the three remaining non-nuclear aircraft carriers for the exclusive us of "land forces" as sea based resort hotels. FORCE NET: Real time shared information concentric network is the glue that binds Sea Power 21 together. It is the key that makes it all work. Again, during the evolution of Enduring Freedom, more often than one may believe, the airborne strike mission en route to or from an assigned strike target was reassigned new or additional targets. All due to real time intel as it becomes the stuff of command and control of the battlefield.